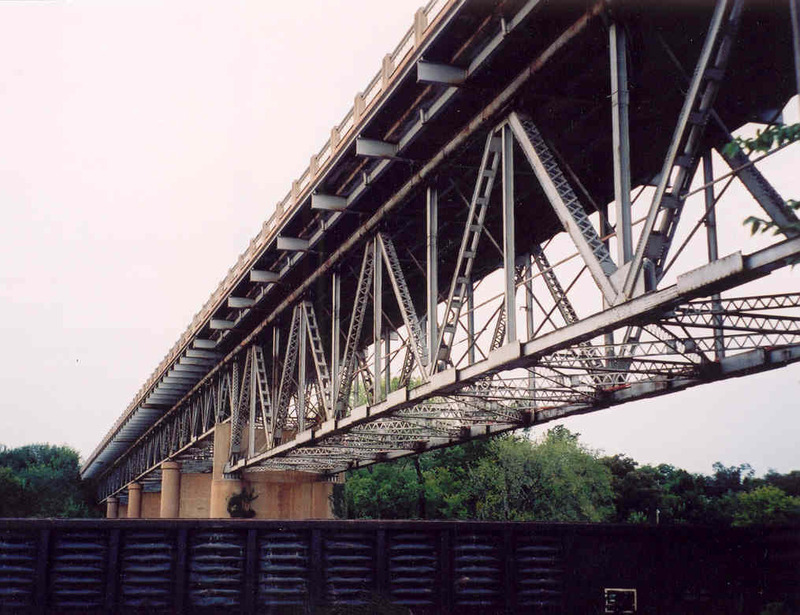 The bridge pictured in the above and following six photographs is simply huge, one of the largest in the state. It sits between the towns of Lexington and Purcell and is on the dividing line of Cleveland and McClain Counties. 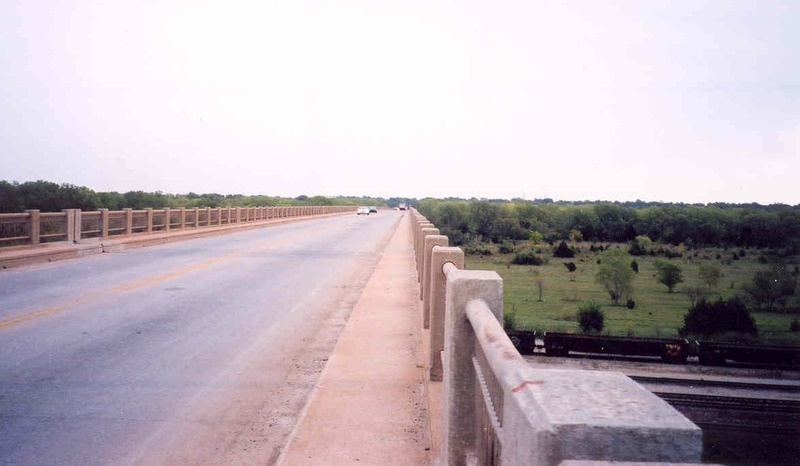 Below, the bridge appears to go on forever in this photo as it crosses the fertile flood plain. The Canadian river is on the other side of those trees, and beyond that, Lexington. This view is looking east. Above, this plaque is mounted in the endmost guard post at both the east and west ends of the bridge. 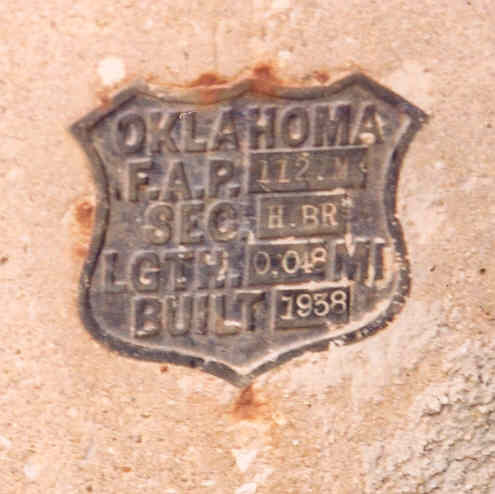 The bridge was built in 1938 and, according to the ID shield is 0.048 miles (obviously a mistake) long. 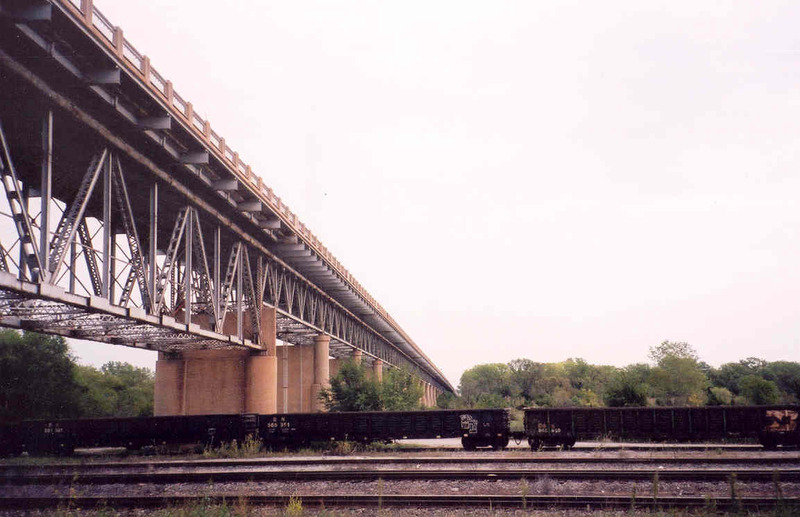 It is made up of 33 100-foot long Warren deck spans and a single 210-foot long Warren span across a railroad yard. 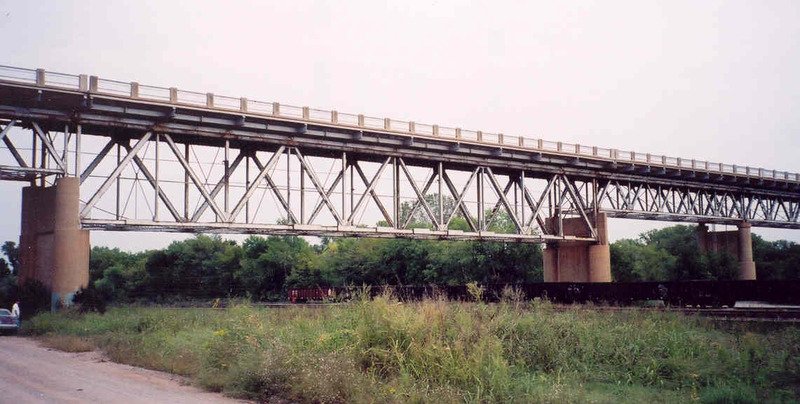 There is also a steel stringer approach span at either end as well. Total length of all spans is 3,642 feet. 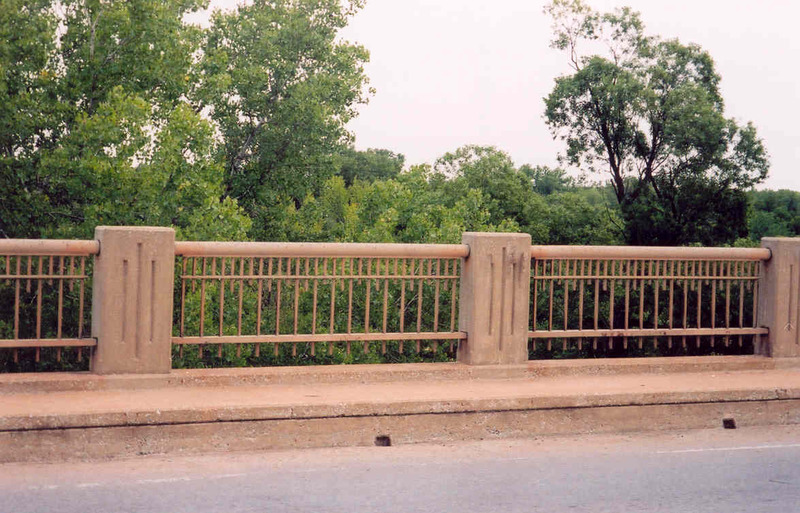 This bridge was built by Guy H. James, according to DOT records. Above and below, views of the 210-foot long rail yard span. The metal rectangles on the lower chord are remnants of the steam era and are to keep exhaust gasses from coming in contact with the lower chord. 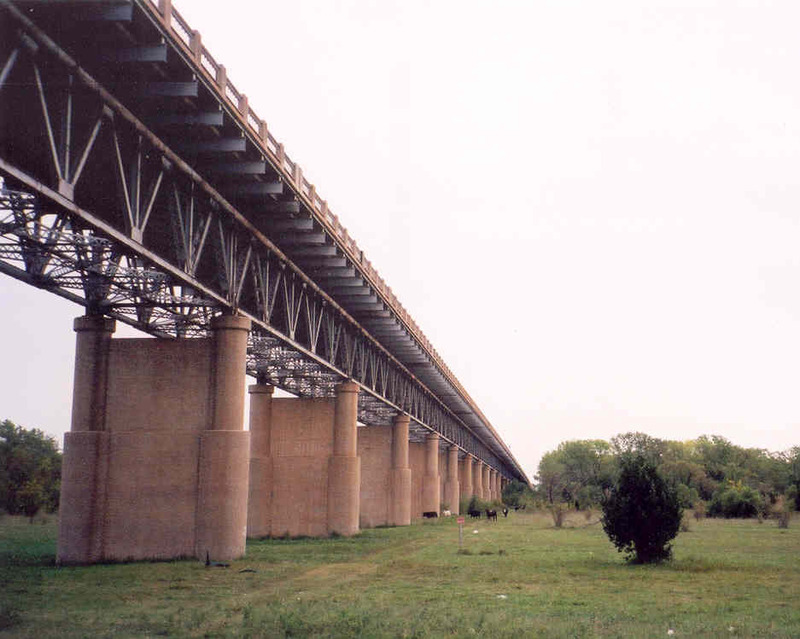 Above, another view of the 210-foot span and the four 100-foot spans between it and downtown Purcell. 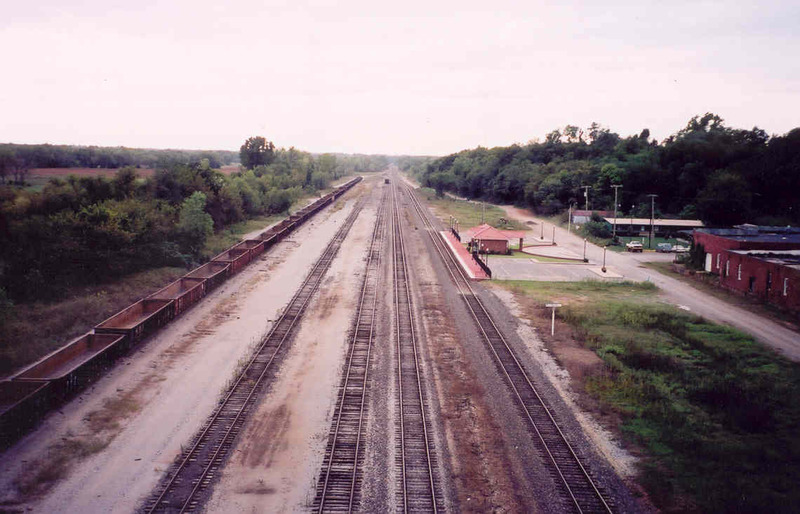 Below, the rail yard, as viewed from the middle of the 210' span.